Obituary – Dvorak Jr., Frank J. « Perry High School Alumni Association, Inc.
Obituary – Dvorak Jr., Frank J. ﻿F. F. A. ’45-’49; Wrestling ’45-’46; Senior Assembly ’48-’49; F. F. A. Vice-President ’48-’49. Frank J. Dvorak, resident of Perry, Oklahoma, went home to be with his Savior on Wednesday, February 8, 2017, at OU Medical Center. He was 85. The celebration of his life will be held at 10:00 am, Saturday, February 11, 2017 at the Trout Funeral Home Chapel of Perry with his son Mike Dvorak officiating. Burial will then follow at Grace Hill Cemetery. Frank was born on November 11, 1931 to Frank and Bessie (Kosnar) Dvorak in Perry, OK. 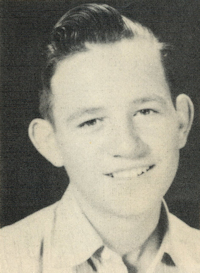 He attended rural schools Star and Fairview, before graduating from Perry High School in 1949. He married Mary Alice Young on June 21, 1952. He was involved in Future Farmers of America. He loved showing livestock and had great success showing beef cattle and hogs at state and national shows. He received the American Farmer Degree in 1952. 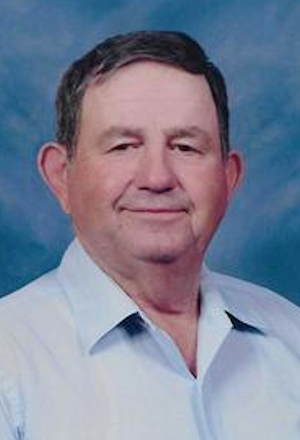 He was involved in farming and ranching in southern Noble County all his life. He was also employed in the oilfield, construction, and later retired from Oklahoma State University as an employee of the physical plant. He enjoyed bowling and square dancing with The Lucien Merrimakers while Alice was alive. Frank always had a great love of agriculture and socializing with family. Frank is survived by his sister Irene Heppler; son Mike Dvorak and his wife, Pam of Perry, OK and their children: Mandy Vollmer and her husband, Brandon of Perry, OK:; Matt Dvorak and his wife, Ashley of Overland Park, KS; son Rodney Scot Dvorak and his wife, Carol of Perry, OK and their children: Dr. Joseph Dvorak and wife, Tanya of Lexington, KY; Allison Stevens and husband, Robert of Perry, OK; Justin Dvorak and wife, Jessica of Perry, OK; daughter Becky Shelley of Grove, OK and her children: Dr. Ashley Shelley of Grove, OK and Chris Shelley and his wife, Angie of Waco, TX; Great grandchildren: Callen and Carsen Vollmer of Perry, OK; Connor Dvorak of Overland Park, KS; AnneMarie, Karsten, and Caroline Dvorak of Lexington, KY; Edie Stevens of Perry, OK; Ruth and Lucy Dvorak of Perry, OK, MaKayla, Cameron, and Colin Shelley of Waco, TX and nieces and nephews. He was preceded in death by his parents, wife, two sisters: Rose Dvorak and Adella Frank, and one brother, Charlie Dvorak; and one son-in-law, Terry Shelley. Casket bearers will be his grandson’s; Brandon Vollmer, Chris Shelley, Joe Dvorak, Justin Dvorak, Matt Dvorak and Robert Stevens. Memorial Contributions may be made to the Fairview Cemetery Association care of Trout Funeral Home of Perry, 1408 N. 7th Street, Perry, OK 73077.